Do you dream of emulating the keynote speaker at conferences? Practice is very important, but how do you find new approaches to strengthen your performance? The Liverpool Doctoral College Development programme includes workshops and webinars to help advance your presentation techniques, with new ideas to enhance your delivery style and practice with delivery. Other sessions will help you make best use of conferences and to overcome imposter syndrome. For an overview, see the introduction provided for the Presentations section within our Communications theme. The programme includes two workshops to help create your presentation; the first focusses one standard academic presentation formats, while the second offers an alternative approach using creative techniques that will be particularly useful to those communicating to a multi-disciplinary audience. NB These are repeated sessions – please book on only one date! A further half-day workshop will help you prepare for networking at conferences and create a ‘pitch’ to talk confidently about your research. The resources also include The Good Networking Video which offers excellent advice to help your Networking at conferences. If you are looking for further opportunities to present your work outside your own discipline, why not try a Research Cafe? The next Research Café will be held on Thursday 14 February, 2-4pm in the Gilmour Room of the Liverpool Guild of Students. Research Cafes are an informal, safe space for PhD students to share their research and meet fellow early career researchers from across the University. Presenting at the University’s Research Cafes is a great opportunity to receive feedback about any aspect of your research and to practice talking about your research to an audience outside of your discipline – an invaluable skill for researchers who want their work to have impact. To book on to attend the Research Cafe, please click here. How will you develop critical analysis, problem-solving and decision-making skills? Successful research demands a wide range of skills, including skills in creative & critical thinking. During your PhD, you must be creative in order to develop new ideas in research, deliver engaging presentations and solve problems. Gaining confidence in creativity will also help you foster critical analysis, risk taking and decision making in order to better manage the uncertainties that surface in the research process. Developing skills in these areas in the research environment isn’t always easy. Workshops offer an alternative space where you can learn and experiment with new ideas in a safe environment. Coming up, we have a workshop on improvisation by Dr Ahmed Al Naher, which introduces the ‘Improv’ technique to help you in making decisions and be spontaneous and creative in your work, particularly when presenting. 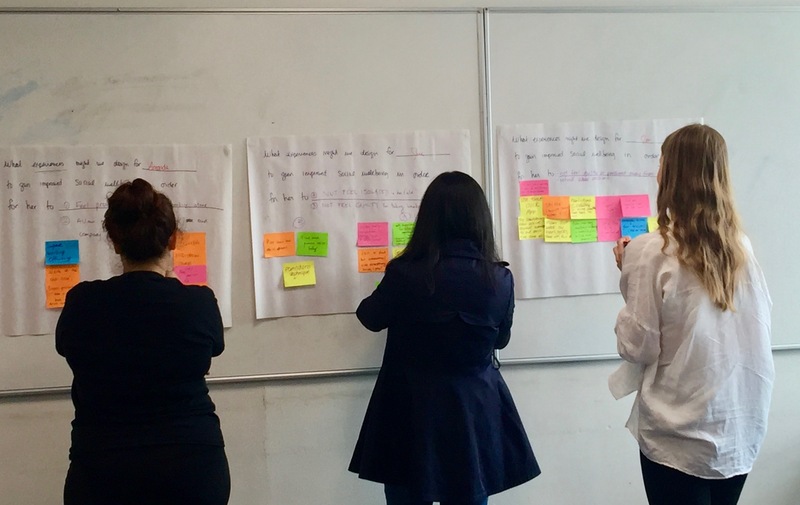 Then there are two further workshops delivered by Dr Aimee Blackledge that will help you develop as a researcher by introducing creative approaches to support you in problem solving, building confidence and starting your professional development planning. You can find out more on how the LDC Development programme can help with your creative & critical thinking through our theme: Creativity & Critical thinking, which also introduces the techniques of Design Thinking and Lego® SeriousPlay®, together with further online resources to stimulate your approach in this area.